SUNY-Binghamton. He is the author of Syrian Identity in the Greco-Roman World (Cambridge: Cambridge University Press 2013) and many articles on the Hellenistic, Roman, and later Roman Near East. His current book projects explore the arrival of Christianity in India in late antiquity and the life of Zenobia, the famous dynast from Palmyra. This blog post features his work as part of the 2016 Eric P. Newman Graduate Seminar in Numismatics. 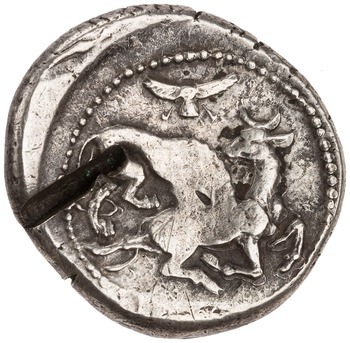 For my project, I am doing a close study of the silver coins produced at Syrian Manbog (otherwise known as Hierapolis—Bambyce) late in the Achaemenid Persian period and in the first years of Alexander the Great’s rule over the Near East. 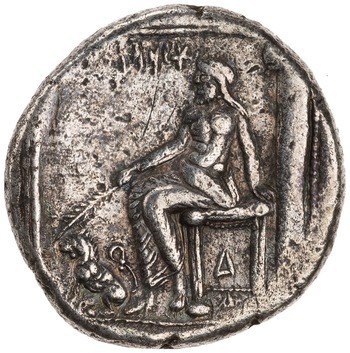 The coins are notable because their inscriptions indicate that they were minted in the name of the mysterious priests of Manbog, the Persian satrap Mazdai (also known as Mazaios), and even Alexander the Great. The coins themselves are replete with images of Manbog’s patron gods, namely Atargatis (‘tr‘th or ‘th) and Hadad (hdd). 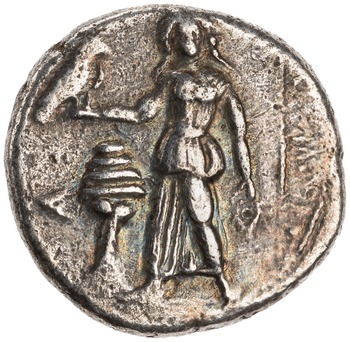 Their types are also modeled on those from contemporary coins of Sidon, Tarsus, and other Cilician cities. 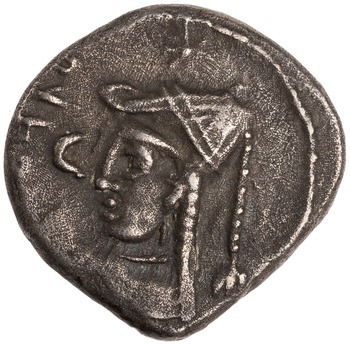 But perhaps most intriguing of all, some of the coins bear likenesses of people that were apparently intended to be representations of Alexander. The coins have been studied and catalogued in various publications of the 20th century. But many features of them are yet to be explored. Since 1999, over 20 other silver coins have come to light, thus nearly doubling the number of known specimens. My research thus includes an updated catalogue. No complete die study has yet been conducted. My project provides one for the known specimens and expounds upon its implications. 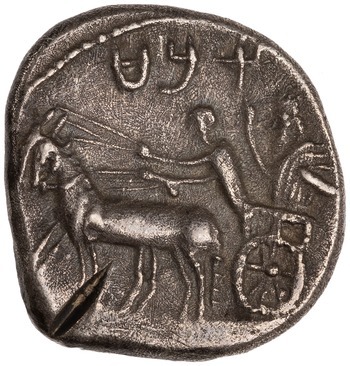 The weights of the coins have been variously associated with the Babylonian shekel and the Attic didrachm. My study aims to provide some clarity on this issue. The circulation of the coins has yet to be established. My project seeks to define what it was. The iconography of the coins has often attracted commentary, especially in terms of how it reflects Near Eastern religious, cultural, or artistic traditions. 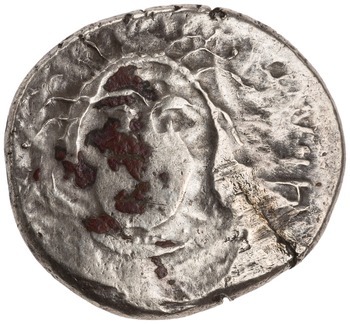 But my project explores how the iconography was intimately linked to issues of local authority and, for some of the coins, the turbulent political sequence of 334–330. 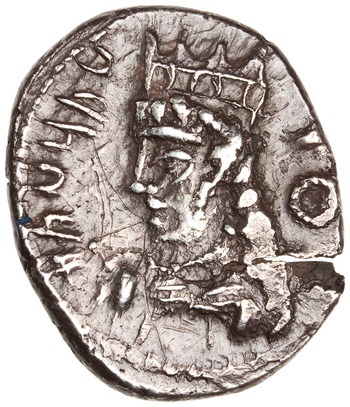 It even probes whether Alexander’s coins at Manbog have any bearing on how we interpret the subsequent coinage of his reign, which was arriving at its standard form at the time. As part of my overall examination of the dies, imagery, weight, circulation and political context, I also aim to theorize the economic or fiscal needs that the coins served and to identify some of the dubious specimens that have been attributed to Manbog’s mint. Finally, my study even tackles the vexing questions that surround the small fractal Samarian or Middle Levantine coins that bear the reverse inscription of MBGY. Does MBGY refer to Manbog and to the minting of small fractions there? Is it an ethnic denoting that “Manbogians” were responsible for minting? Or is it the personal name of a figure that oversaw the coins’ production in some way? If so, what was this person’s role and function? 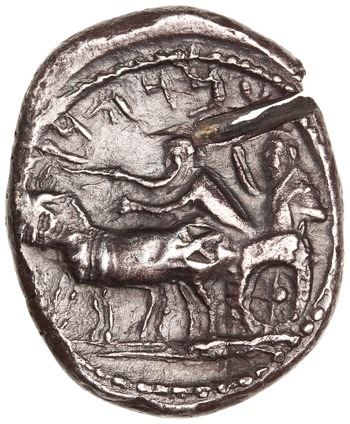 As I address these questions, I hope to make some small contribution to our understanding of the production and circulation of small silver fractions in the late Achaemenid Persian empire.